The art world is confusing for most folks, including artists. The information age has a hidden downside – the tendency to categorize, label or define to such a great degree often leaves little room for maneuverability and flexibility. Paradoxically, immediate access to the internet brings many variables to ideas. Theories and long held beliefs are often quickly thrown into the foray without much research or fact checking. We need to be more flexible and adaptable if we are to stay on top of our game. Academia, museum curators, art dealers, auction houses, art critics and gallery owners all differ in their ideas of art and artists, so how does one navigate their way around when each has its own set of rules, principles, and philosophies? The truth is that whatever you decide will never be a right or a wrong decision. However, if you can’t follow your heart, you will eventually become lost. If your “heart” wants you to paint doe-eyed cats, well – don’t expect much of a career in fine arts, but you could have a good commercial career. A certain amount of experience and wisdom borrowed from a mentor is a good place to start. Even if you’ve gained skill in your craft and a modicum of excellence, you still need to pay the bills to keep going, and this is where artists need to get truly innovative. Quite often artists don’t want to think about the “S” word – sales, as if it were something sordid. One thing is certain though, if you can’t pay your way – you’ll lose your way! 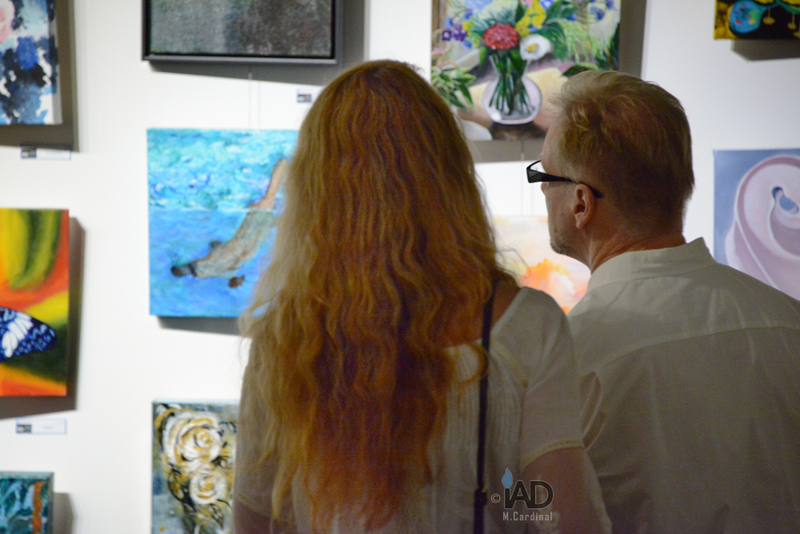 Art groups are a good introduction to shows, exhibitions, and camaraderie, which are all important because the feedback from fellow artists and their humor and stories gives you confidence to keep going in the direction your work is taking you. Successful emerging artists do what it takes to cultivate a following for their work. The reality is that you need devoted art buyers and investors to sustain your career over the long run. It’s not a good idea to label or judge another artist, their work, or even yours for that matter. The public will decide what is valid and will often support you if you are humble. It’s also important to realize art is a lifetime learning process, and the harder you work the better you get. It’s exciting for art collectors to see growth and expansion, and to know you have courage to continue despite the hard effort required to make art a profession. For confirmation of that ideology, just look to Picasso. Necessary Evil … or a Good Friend? How do you convince an art investor your work is worth their investment? Unfortunately, you don’t, you can’t, at least not in such a direct way. Investors primarily make decisions based on their return on investment – ROI. Many investors like Fashen, a DJ Art Collector, talk about buying art for their personal collection based on intuition and what they like, which to a point is true and often how many start, but the disconnect is that their gut isn’t your gut, and what turns you on doesn’t necessarily turn them on. A marriage between an artist and an investor like Heidi Dillon starts with a first date. Back in the day it was simpler, not better mind you, just simpler. Galleries and agents exclusively controlled the market and they worked together to promote their investments. An artist needed to move in their circles and know how to hook an invitation to their party without making it look like they hooked an invitation to their party. An emerging artist somehow had to get on the “A LIST” of an art investor like today’s Torsten Butzen in order to rub shoulders with the art investment crowd at their SOHO soirees, but if an artist looked like he needed to be there the invitation most often never materialized. Playing available aloof was and still is a skill, especially for an introverted artist who would rather be alone in his studio doing what he does best. That was then and this is now. The new place to be is online talking it up with the nouveau riche on social media. It’s still the same party, just a different venue and with contemporary conventions. It’s called social media for a reason. It’s a place to be social. It’s not called grumpy reclusive artist media, or I have a chip on my shoulder media, or the world is passing me by media. Why do art investors like Bob Rennie think this way? It’s because they make their money making good decisions. When they make good decision investors in traditional businesses have more reason to trust them, and when they trust them they buy the art investor’s commercial services, which have nothing to do with art and more to do with maybe auto parts, or textiles, and maybe real estate or natural resources like oil. Everyone wants to look good and to be respected because they know how to pick the winning team, whether it is sports, fashion, or art. Same motivation every time. For most nouveau riche art investors, art is not their main source of wealth. Art is a playground and place of distraction away from the pressure of world commerce. Collecting high end art to them is like your neighbor buying a numbered jersey of their favorite sports team. You get to identify with a larger entity and feel like you have a spiritual and community connection. and start the conversation with an art investor? It’s easy. You first create a portfolio of work (which is the hard part and could take years) and then you start to talk about it and the art world online. Facebook is alright, but not the best or a safe place to be due to copyright issues. Instead, start a WordPress Blog and hook it to a Twitter account. The secret is to go to the investor and don’t expect them to come to you. Once you have your communication system set up and operating efficiently you can then start to crash the big parties, but before you do, take time to learn what the big players are interested in and what they talk about. HINT: It might not be art. Sit back for a while and just watch, and when you see an opportunity to contribute to the conversation slip in subtly and say your piece. Don’t get carried away with strong opinions right from the start, and don’t say too much. Whatever you do, don’t mention your art, or worse, promote yourself. Bragging is a career killer in any industry. You can of course mention that you’re an artist, but make them come to you. It’s the old 90/10 rule where you lean in 90% of the way for the first kiss, and wait for the other person to lean in the rest of the way to seal the deal and lock lips with you. Don’t be over eager. Who are today’s Art Collectors? They come in all shapes and flavors from the ultra rich like art investor Dakis Joannou who will often share their collections in semi-private invitation only spaces and who do it for tax breaks, to risk-taking collectors who specialize in emerging artists and who are truly excited to be involved in the art world and buy what they love. Plus there are new era collectors who buy exclusively online and who used to go to art galleries and artists’ studios, but now recognize the ease of using social media to find treasures. Some investors are pseudo socialites who invest for prestige and to create the perception of wealth. There are also lifestyle buyers who love the artists as much as their work and follow them religiously. And lastly, art investment manipulators who buy through hedge funds and purchase only the most expensive pieces as speculators hoping the price will increase rapidly so they can dump it for a profit. They all have their idiosyncrasies and it is up to you as an artist to decide who works best for you at the time. The art world has been hit by “disruptive marketing” just like other industries, and if you know how the process works you can leverage it to your advantage. Looking for advice in this respect? Contact Us, we can help!